Yeah, as we get more and more electronics (especially with Christmas being here again), we're going to need more walls like this. 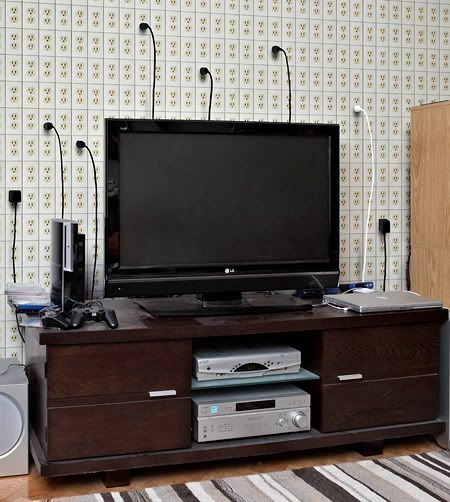 Who needs power strips any more? Just plug it in anywhere! BRILLIANT!! and the cords don't get tangled either.